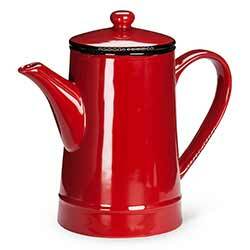 Decorative and functional, we carry an assortment of teapots and coffee pots for your caffeine drinking needs! Solid colors, floral or seasonal designs, enamel look - you're sure to find the perfect one! Candy Cane Christmas Teapot, by Tag. 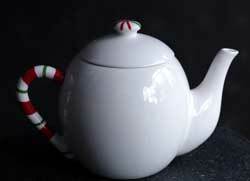 Serve your friends, kids, or grandkids a special Christmas tea or hot chocolate from this adorable candy cane teapot! 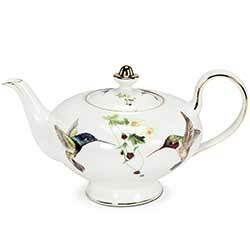 Set a pretty tea tray with this bone china teapot, featuring delicate hummingbird artwork and 10K gold accents. 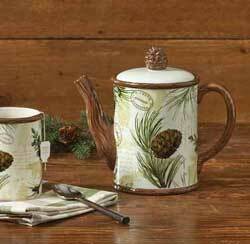 The Evelyn Collection features bone china in delicate colors with 10K gold accents. 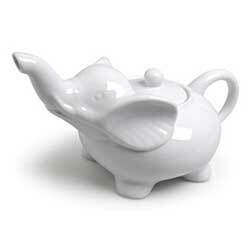 This is for the ivory teapot. 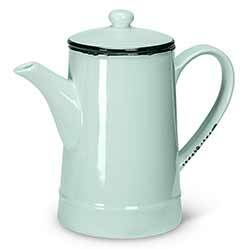 A pastel mint finish makes this green enamel coffee pot an adorable, practical way to add a pop of colour and a vintage flair to any kitchen! 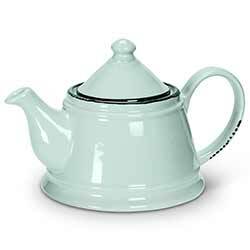 A pastel mint finish makes this green enamel teapot an adorable, practical way to add a pop of colour and a vintage flair to any kitchen! 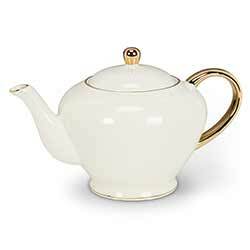 The Evelyn Collection features bone china in delicate colors with 10K gold accents. 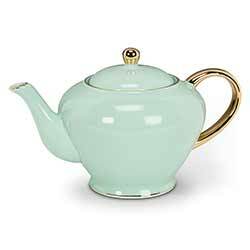 This is for the mint green teapot. 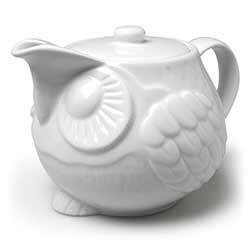 Durable, pure white porcelain crafted into a charming owl shape, sure to inspire any collector and add character to a tea party! A bold, striking finish makes this red enamel coffee pot an adorable, practical way to add a pop of colour and a vintage flair to any kitchen! 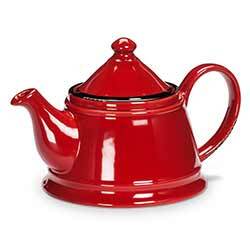 A bold, striking finish makes this red enamel teapot an adorable, practical way to add a pop of colour and a vintage flair to any kitchen! 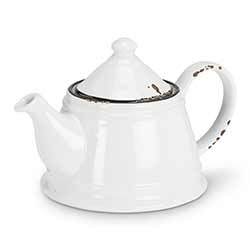 A simple, elegant finish makes this white enamel teapot an adorable, practical way to add a pop of colour and a vintage flair to any kitchen!